People with sensitive teeth experience a sharp shooting pain when they have excessive pressure on their teeth, consume extreme hot & cold, sweet, acidic foods or drinks, breath in cold air etc. The condition is also known as dentin hypersensitivity or root sensitivity that generally occurs when the gums pull back, dentin gets exposed and teeth becomes less protected from the sensitivity. It is the most common issue among people and is generally neglected by many, as most of them sought some home remedies to reduce the pain temporarily. If the pain is persisting and becomes unbearable, dentists generally recommend various procedures like fillings, fluoride varnishes and dentin sealers based on the patients condition. During this time, it is important to be very cautious about the things that we eat and follow the brushing & flossing techniques properly to reduce the symptoms. Keeping the teeth clean doesn’t mean that you need to brush too hard or too many times. Even using the hard bristled brush may also cause the enamel to worn out, exposing the soft inner part called dentin outside. This not only triggers sensitivity in your teeth but also leads to some other dental complications and gum problems in the long run. People suffering with sensitive teeth are suggested to follow proper brushing and flossing techniques, so that the pain slowly fades away on its own within one or two weeks. 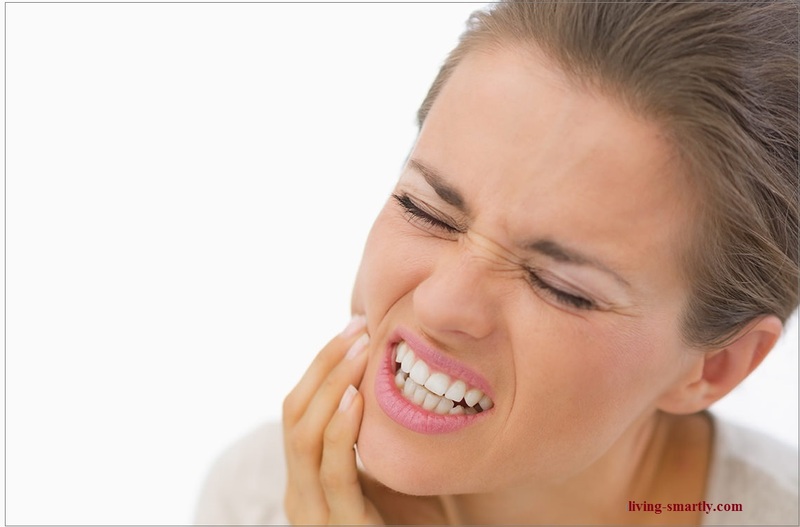 If it is persisting longer then it is better to consult a doctor for proper dental treatments. Receding gums also called as gingival recession is generally caused by pulling away of the gum tissue from the teeth. There are many reasons for gingival recession – periodontal disease like gingivitis, general bacterial infection, negligent brushing, plaque or tarter buildup etc. A person suffering from gum disease called gingivitis may experience inflammation and separation of gums from the teeth, exposing the sensitive roots outside causing unbearable pain. Having foods and drinks that are extreme sweet or sour in taste may sometimes remove the top enamel of your teeth or decay the gums resulting in exposing the sensitive areas of the teeth. If you are suffering with sensitive teeth make sure to avoid foods that are highly acidic like tomatoes, citrus fruits, soda, sour cream etc. Not to mention stay away from sugary treats like cakes, cookies & candies which trigger the bacterial growth in your mouth. Follow the strict regime of brushing, flossing & rinsing along with good nutritional diet to have healthy teeth. Irrespective of age, people clench & grind their teeth on regular basis when they are asleep which may sometime lead to fracturing or loosening of teeth. It may also result in removal of outer enamel causing the teeth extremely sensitive to the foods and outside temperatures. Wearing a mouth guard will definitely protect the teeth from damaging temporarily, but if the habit is consistently worsening affecting your jaws and facial appearance, then it is better to go for medical advice. Everybody likes their teeth to be white, but if they go through the whitening procedure too many times, it may reduce the enamel layer on the teeth resulting in dentin exposure. Basically teeth whitening can be done at home using whitening products or professionally going through dental procedure at the dentists place. Once the procedure is done, people experience enhanced sensitivity for cold and hot drinks & foods and abrasive brushing. In such cases doctors recommend desensitizing products to use for brushing and rinsing until the pain gets relieved automatically. However, it is important to give some considerable gap between whitening treatments otherwise it may lead to other dental complications. This entry was posted on Monday, August 1st, 2016 at 11:00 pm	and is filed under Dental Health. You can follow any responses to this entry through the RSS 2.0 feed. You can skip to the end and leave a response. Pinging is currently not allowed.